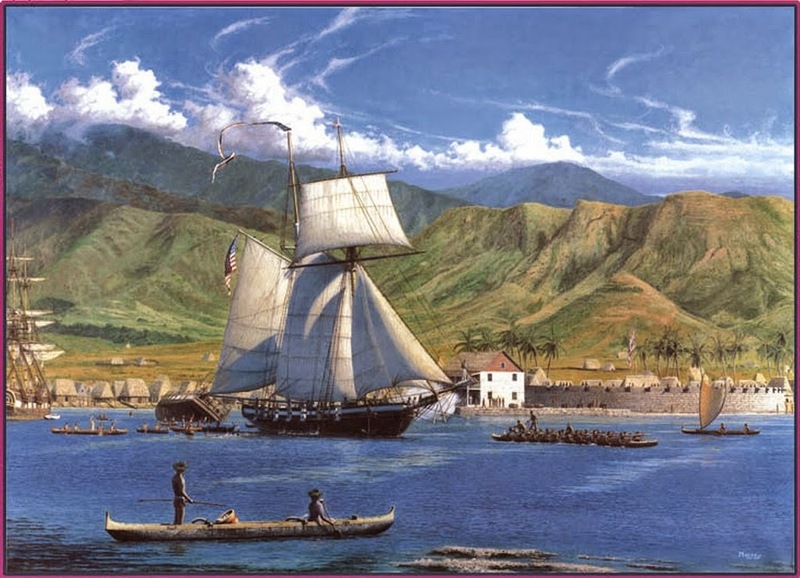 He began to serve in October of 1820, at the port of Honolulu. As Agent for Commerce and Seamen, Jones became the ﬁrst ofﬁcial US representative in the Hawaiian Islands. His role was to help distressed American citizens ashore, both seamen and civilians, serving without salary from the US government and required to report on commerce in Hawai‘i. When Jones arrived in 1821 the sandalwood trade with China was still thriving. King Kamehameha I had monopolized, the cutting and exporting of sandalwood during his reign, but after his death in 1819, Kamehameha II was unable to enforce the conservation policies of his father, and unrestricted cutting of sandalwood soon threatened to deplete the hillsides of this rare wood. The service of Jones as consular agent in Honolulu put him in the middle of a number of commercial and political causes. Both as government representative and private trader during a formative period, he was an energetic figure and is credited with leadership in opening trade between Hawaiʻi and Spanish California. Jones’ several marriages caused additional concern. He married Hannah Jones Davis, widow of his partner, William Heath Davis Sr, in 1823. His younger stepson, William Heath Davis, Jr, became a prominent California businessman. Jones continued to live with Hannah but also lived with Lahilahi Marin, daughter of Don Francisco Marin, and had children by both. In 1838, he married Manuela Carrillo of Santa Barbara, California and deserted Hannah and Lahilahi.